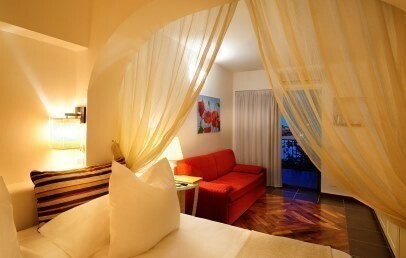 and at the same time enjoy a quiet relaxing stay, backed up by the guarantee of excellent cuisine. 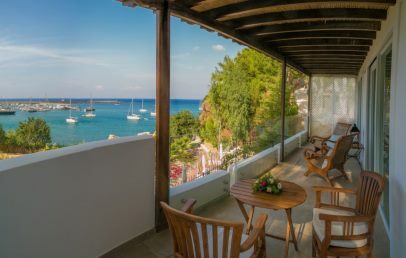 Situated along the stretch of coast between the famous Rocca di Cefalù and the pleasure boat port, the Hotel Le Calette Garden & Bay enjoys an exceptional panoramic position looking out over the sea, which can be admired from terraces set at various levels. 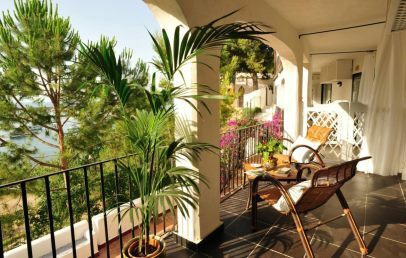 Set amidst lush greenery, between palms and olive trees the Hotel is the ideal location for those in search of a stylish, relaxing getaway, just a short distance from the centre of Cefalù and the sea. There is a number of culture and nature attractions in the area, including the Norman Cathedral dating back to the 13th century (2 km), the Madonie Nature Park (10 km) and the small town of Santo Stefano, famous for its ceramics (30 km). 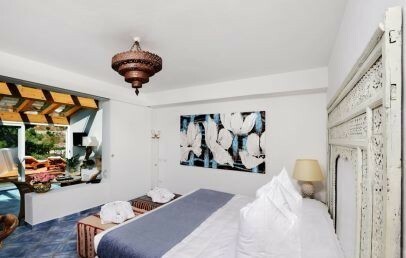 Opened at the end of the sixties, the hotel has recently been refurbished and extended, with the addition of a new series of luxury rooms, named Calette N°5. It consists of a stylish lobby, a fine panoramic pool with adjacent hydro-massage pool, two restaurants, some fine panoramic terraces and, in the summer season, a disco overlooking the sea. Hotel guests can utilise some gazebos for beauty treatments and massages and three different accesses to the sea from the resort. There is also the availability of beach umbrellas and sun loungers along the shore of Cefalù, just 2 km distant. There is also an open air games area dedicated to small guests. 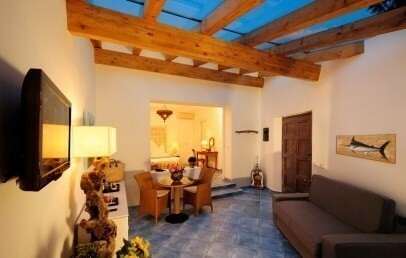 The 24 rooms of the hotel are set round the garden and some offer a splendid view over the sea. 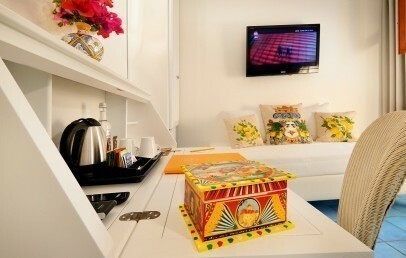 All rooms have en-suite with shower, hair dryer, AC, phone, mini-bar, free Wi-Fi and kettle. Hotel guests can choose from several solutions: Caletta Lounge – gravel and rocks – with sun loungers and beach umbrellas, shower and snack bar, set just beyond the hotel pine wood; small, reserved Caletta Selvaggia, set between the Faraglioni, with a few deck chairs; Caletta Presidiana (not equipped), pebbles and gravel; Calette Beach at Cefalù (some 2 km distant), with fine white sand, accessible with a free shuttle bus service. There are two restaurants available to hotel guests: Rizz’i Mare and Cala Luna. The first is situated on the first floor of the main structure, with a panoramic view. Cala Luna on the other hand is the open restaurant of Calette Garden & Bay and is to be found on the lawn fronting the hotel, with a splendid sea view and a truly sensational open plan kitchen. Both offer a wide selection of traditional Sicilian dishes based on sea food and fresh vegetables, cunningly re-elaborated by our Chefs. Your stay can be booked based on the formula B&B. Lunch and dinner are available à-la-carte. Services included in the price are: shuttle bus for the beach and town, the external pool, vehicle parking, Wi-Fi connection in all areas. Our reception staff is available to help you select and book the best excursions in the area. The structure has gazebos in the garden area where guests can enjoy beauty treatments and massages. 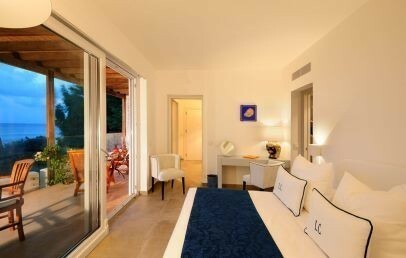 Guests can also utilise the SPA and the tennis courses at the sister hotel Alberi del Paradiso. From June thru September guests can utilise the spectacular disco on the shore, Calette Disco Club. Check-in is from 14:00 and check-out until 11:00; late check-out can be arranged subject to availability and attracts extra payment starting from 13:00. The Club Room is situated on the ground floor and is furnished in traditional Sicilian style, also with a furnished external area. 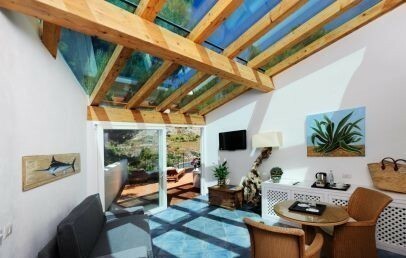 The room looks out over the garden and has a full range of comforts. 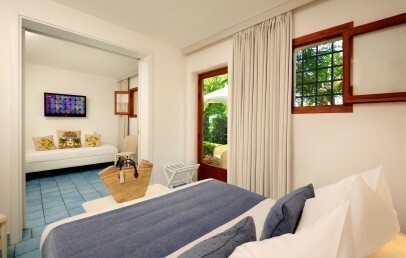 This room is situated in the garden, near the games area and the Caletta Lounge. 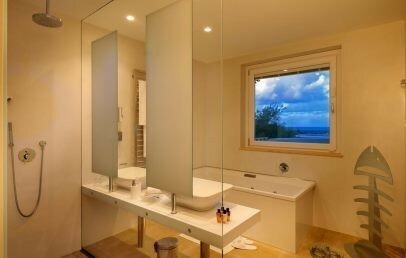 It consists of two separate areas and two bathrooms with showers. The room, with a full range of comforts, is furnished in traditional Sicilian style and has a patio with armchairs and sun loungers on the lawn. 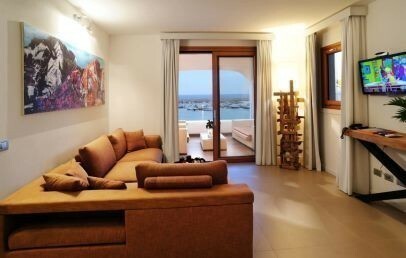 A room situated on the first floor, with a furnished terrace with sea view. Some rooms have a hydro-massage tub. 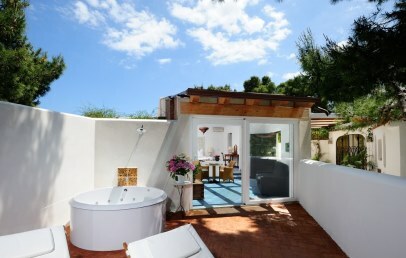 This room is situated in the garden, near the games area and the Caletta Lounge. 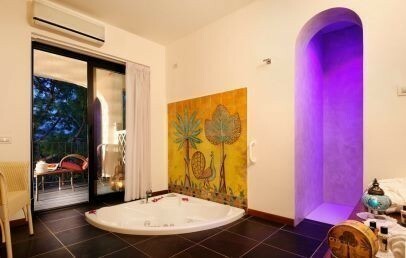 It consists of two separate areas and two bathrooms with showers – suitable to host three adults or families with two children. 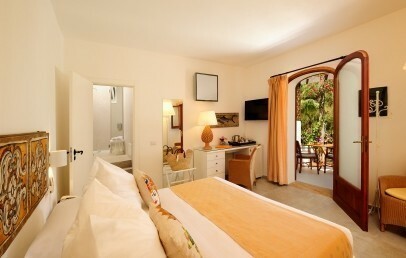 The room, with a full range of comforts, is furnished in traditional Sicilian style and has a patio with armchairs and sun loungers on the lawn. 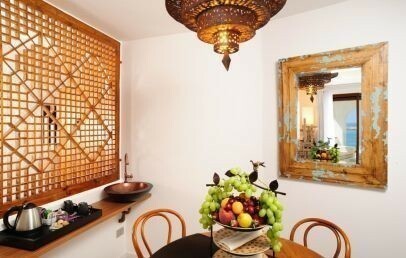 Room located in the Bay area, it is finely furnished in modern style with quality materials. 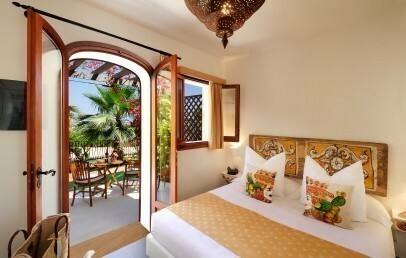 The room has two spaces and an equipped terrace with sea view. 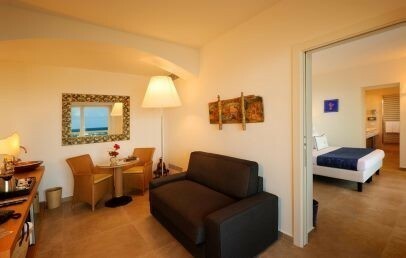 Room located in the Bay area, it has two spaces and an equipped terrace with sea view.